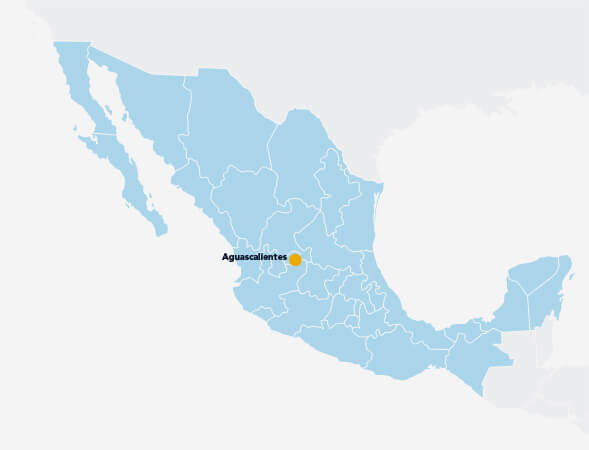 Home to Mexico’s fastest growing car industry, Aguascalientes serves as an excellent business environment and a dynamic manufacturing industry. Aguascalientes hosts major multi-national companies such as Nissan, Mazda, GM, and Honda. With state investment in training programs and universities, the populace is well educated and skilled. It’s young labor market and safe environment has caused manufacturing to expand in the last two years.